There were 637 press releases posted in the last 24 hours and 153,950 in the last 365 days. SAN JOSE, CALIFORNIA, UNITED STATES, December 6, 2018 /EINPresswire.com/ -- Born in Texas, Rahim Hassanally learned early on that his calling was in the automotive field, and he's since made a respected name for himself and his chain of car dealerships in Solano County. Rahim Hassanally has served as secretary for the Toyota Lexus Minority Dealers Association Board of Directors and is a member of the National Automotive Dealers Association. He is also a member of both the National Association of Minority Automobile Dealers and the Administration Committee and Chair of the Policy and Procedure Committee. He’s earned many distinctions in his career, including earning the title of Board Member of AIADA. With new adventures on the horizon for Mr. Hassanally, we can look back at his impressive career and the distinctions that led to his present success. Rahim Hassanally could have gone into the hotel business that his parents had established years before, but his heart was elsewhere. At 16, he signed up for classes at a local car dealership (taking place daily from 8am to noon) to learn how to be a better salesman. Through a co-op work study program with his Texas high school, Rahim could sell cars at the Colonial Chrysler-Dodge-Jeep in Dallas and still earn his diploma. He was a natural at it and was selling 25 to 30 vehicles a month in no time. Mr. Hassanally continued improving and demonstrated his growing skill at three different dealerships before eventually being promoted to General Sales Manager. He later earned a bachelor’s degree in political science at Southern Methodist University in Dallas to hone his talent and learn more about the diverse and changing auto sales market. 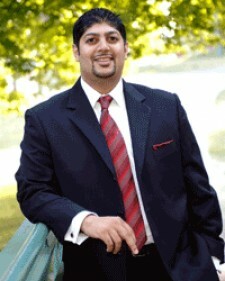 By 28, Rahim Hassanally purchased his own dealership which housed both Infiniti of Fairfield and Volvo of Fairfield. He later operated 16 franchises and created hundreds of jobs and revenue for Solano County and beyond. An industry leader, he’s earned distinction from his peers for his optimistic attitude, his thoughtful planning, and his savviness in the automotive field. In difficult times, such as in the present economic state, he rises to the challenge claiming that the rough seasons teach him to manage his resources for maximum profitability. Rahim Hassanally was appointed as a member of the New Motor Vehicle Board of the Department of Motor Vehicles by the governor of California, Edmund G. Brown, Jr. He was also appointed to the California Consumer Motor Vehicle Recovery Corporation Board of Directors. He’s generated hundreds of millions of dollars in revenue (including $500 million in revenues in 2015) and is one of the largest sales tax payers in the Solano County area. Rahim Hassanally is a respected automotive leader, helping bring jobs, revenue, and vehicles year-round to customers in California.